"One big takeaway from Doors drummer John Densmore’s Riders On The Storm was that he uniquely grokked Jim Morrison’s essence, a fact tragically overlooked by everyone, most notably Jim himself. So I was glad to see Densmore back off a little and allow as to how maybe Ray kind of got it too: “It was like we were of one mind, holding down the foundation for Robby and Jim to float on top of.” Not the highest praise, maybe, but a start. ”Holding down the foundation” is what we say about relatively undistinguished rhythm sections… I mean, did Keith Moon merely hold down foundations, or did he float on top? One day in 1967 or early ‘68, a DJ at a San Francisco radio station – probably KYA – played the Doors’ Light My Fire about a hundred times in a row, interspersed with an instrumental version of Love Is Blue. At least, it seemed like a hundred times, and I’m pretty sure it was Love is Blue. I think it was a competition, with people calling in their votes while their choice for best song was playing. In any case, I heard Ray’s starting riff on Light My Fire over and over as 10-year-old me rode in Mom’s car that day. I can’t say I became a Doors fan on the spot, but a seed was certainly planted. A few months later, my parents got busy sloughing off earthly possessions in preparation for our move to a new life in Soviet Russia. Records were not on the keep list, but with amazing prescience, my Dad borrowed from someone a stack of popular LPs (which included the Doors’ first two albums) and ripped them to a reel-to-reel, just in case I or my sister might want something to listen to behind the curtain. Those recordings became the soundtrack of my pre-teen years, even though there was something missing. For years, I couldn’t put a finger on it, but they sounded… less rich, especially Light My Fire, of which I still had a vivid memory. What was missing was the left channel. The equipment my Dad borrowed to rip the albums was a mix of stereo and mono, and somewhere in the chain of plugs and cords and adaptors the left stereo channel was dropped, resulting in a high-fidelity monaural recording of only the right stereo channel. To get an idea of what I obsessively listened to in the waning months of the ‘60s, you have to throw an old vinyl disc of the Doors’ first album on a record player, and crank the balance knob hard-right. On Light My Fire, what you get is Morrison’s stark voice, Ray’s keyboard-bass, Densmore’s drums, and but a subtle whisper of Krieger’s guitar and Ray’s keyboard solos. We’re talking 5 solid minutes of bass and drums. Bum, da-da-bum, da-da-bum, da-da-bum, da-da-bum… This, indeed, was John and Ray holding down the foundation while Robby and Jim floated somewhere in a purely hypothetical realm called the Lost Left Stereo Channel. The foundation was all there was to it. So I know where John Densmore is coming from – all he ever heard, or wanted to hear from Ray was that right channel. "My love for the music of the Doors stemmed from my high school days, when the search for identity and causes for rebellion were making themselves known. 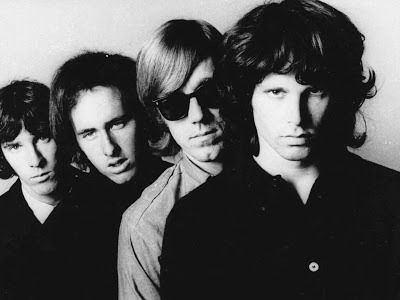 As much as Jim Morrison was the perfect poster child for the similar masses, the Doors were more than that. They were a band. Each member had their own identity. Of them all, Ray Manzarek seemed the least likely to be a rock musician. The eldest member of the band, he looked more like a teacher than anything else. Well, teach he did. If you were to break down the musical structure of the Doors’ music, it would be instantly less definable without Ray’s keyboards. It was a sound that could not be found with such ferocity across the legion of sixties bands that often copied their peers. The music is still played constantly on the radio today, over four decades later. Having carried this music with me for so long, and having lived in the greater Los Angeles area where this music was born, I feel a strong bond with it and what it has always represented to me. It’s kept me good company. 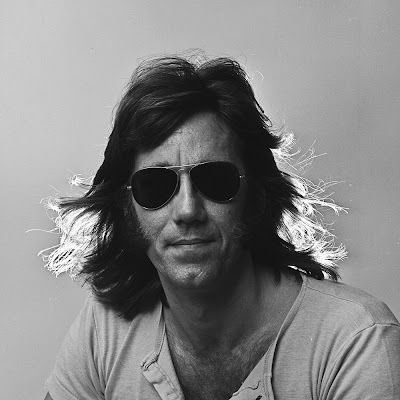 With the passing of Manzarek on May 20th, I’d like to share some of the in-person memories I have of Ray from over the years. January 8, 1988 – With a couple close friends, I made the trek to the Wiltern Theater in Los Angeles for the Rock On Film Festival that was put together by the American Cinematheque organization. A whole evening was dedicated to playing rare Doors films such as “The Doors Are Open” and “A Feast Of Friends”. Ray was on hand to host the sold out event, where he introduced the clips and spoke at length about the sixties and the positive effects of taking psychedelic drugs. Of the films he introduced, the most interesting piece was a bit of “lost” black & white footage of the Doors lip-synching to “Light My Fire” for ABC television back in August of 1967, somewhere on the beach near Malibu. Jim wasn’t too keen on the fake performance, so he simply didn’t show up for the filming. Robby’s brother, Ron, stood in for Jim with his back to the camera. The laughter that followed the story was priceless. October 25, 1998 – An avid record collector, I found myself attending the Greater Orange County Record Show on a regular basis. They would often have music celebrities there for autograph sessions and appearances in general. In the past, I had met the likes of Laurence Juber, Jan Berry, Delaney Bramlett, Spencer Davis and others. 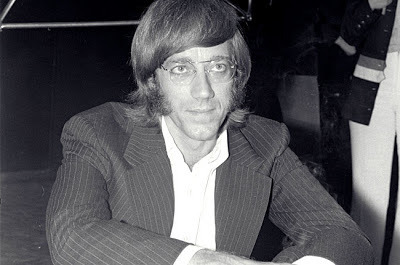 But, it was Ray Manzarek that blew them all away. He was on another level altogether, and I could not believe I was going to have a moment to thank him for all the great music. I waited in line with a sweet Doors poster, a CD box set that had just come out, and one of those expensive gold CDs for the “L.A. Woman” album. He signed them all and quickly agreed to take a picture with me. He was as cool as you’d imagine. Having a one-on-one conversation with THAT voice was unforgettable. After all, he was the storyteller of the band… until the end. August 5, 2011 – County fair shows are often hit or miss. Sometimes you get some A-rated talent, and other times you get complete washouts trying to revive a career. 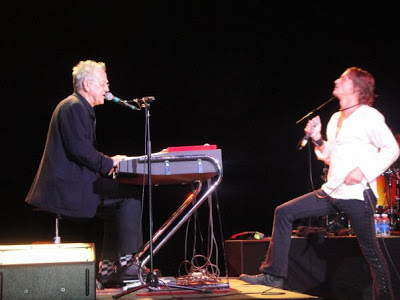 When it was announced that Ray Manzarek & Robbie Kreiger were to play the Orange County Fair, I figured… why not? Tickets were certainly not expensive, and it was promised to be a complete show of Doors music, by two of the three surviving members who MADE the music! To boot, they had recruited Dave Brock, the lead singer of Wild Child (a Doors cover band that I used to see at the Whisky back in the late 80s). My buddies and I purchased seats up in the lawn area, thinking that from that great distance… we wouldn’t be able to see how old Ray and Robby were getting… and that that wasn’t really Jim Morrison on stage. That, and a few beers helped our cause. We could fool ourselves into believing that we were back in the 60’s. However, when the opening notes to “Roadhouse Blues” kicked in, it did not matter one bit. This music was authentic and no one could play keys quite like that. I instantly wished I had gotten better seats. Still, Ray paid tribute to those of us “on the grass” in a way that only he could. My friends and I danced and sang and raised our cups to the music and the men who made it. Oh, and “Blue Sunday” was the best possible song they could have pulled out of their back pocket, and they nailed it! January 20, 2012 – Since high school, I had devoured each and every Doors documentary I could find. I soon learned the legend of the band through interviews and shocking live concert footage. The band evolved greatly in the short time they were together, both visually and sonically. The very last official Doors documentary to be made was one that focused on the making of their very last album, “L.A. Woman”. “Mr. Mojo Risin’: The Story Of L.A. Woman” was set for home video release in early 2012, but there was to be a very special screening in Hollywood at the Egyptian Theater. I was lucky enough to get an invite. The film itself was a great way to showcase the last chapter of the quartet, but beyond that, there was a Q&A at the very end that included special guests. 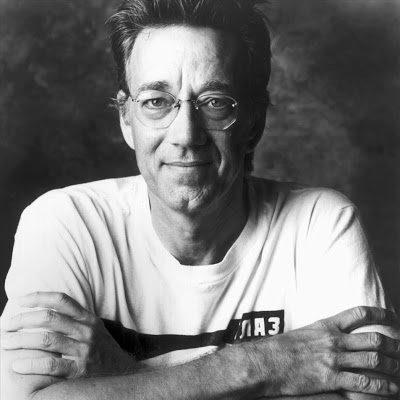 Among them, Elektra Records founder Jac Holzman, engineer/co-producer Bruce Botnick, guitarist Robby Kreiger and the man, Ray Manzarek! As Ray was introduced to come up, the crowd cheered with excitement. He very slowly made his way to the stage, giving me the idea that perhaps he was in a weakened state. I had wondered if something was wrong, but once he spoke, there was no further indication of anything amiss. Afterward, we tried to make our way down and shake his hand, but he was quick to the exits with Robby. August 17, 2012 – It’s no secret that I’m a huge fan of the L.A.-based punk band X. Their first four albums were produced by Ray. Go figure. Ray even used X lead singer John Doe in the music video for “L.A. Woman”. Their relationship goes way back, and I had always loved that about the band. This last year, I got wind of a special concert that was to be part of the Sunset Strip Music Festival in Hollywood. That year’s festival celebrated the legacy of the Doors. At the Roxy, X was scheduled to play their “Los Angeles” album in its entirety… with special guest Ray Manzarek! I was so surprised that I got a ticket to such a big show in such a small room, without much problem at all. Of course, word got out, and the thing sold out in a flash. I prepared myself for a humid evening crammed up against a sea of fellow fans. Sure enough, I made my way to the foot of the stage, watching most of the show from the side with a head-on view of Ray, who sat in for at least six full songs. He was full of energy. A definite juxtaposition to how he appeared earlier in the year. He was excited to be there, and the band was honored to have him. The Doors’ “Soul Kitchen” was played twice, leading me to believe that it may have been filmed or recorded for posterity (or future release). As Ray left the stage following his last song, he headed to my side of the stage. I held my hand up high and he slapped it with the confidence that he gave us his usual best. That was the last time I saw Ray, and it seemed as though he was as relevant and strong as ever. Ray left us earlier this week. The anticipation that came with my tickets for the upcoming Ray & Robbie concert at this year’s O.C. Fair has turned to sorrow. If we’ve learned anything from the years of preaching from Ray about Jim’s life and spirit… it’s that we all have the opportunity to make our mark and that life is merely a celebration on this plane. Perhaps he’s with Jim now, making music together and reminiscing about the days at the London Fog or their time at UCLA film school. Regardless, we’re left with a rich catalog of music that never stops. We’ll always have that as long as we’re here. Thanks for the music, and thanks for making a difference.